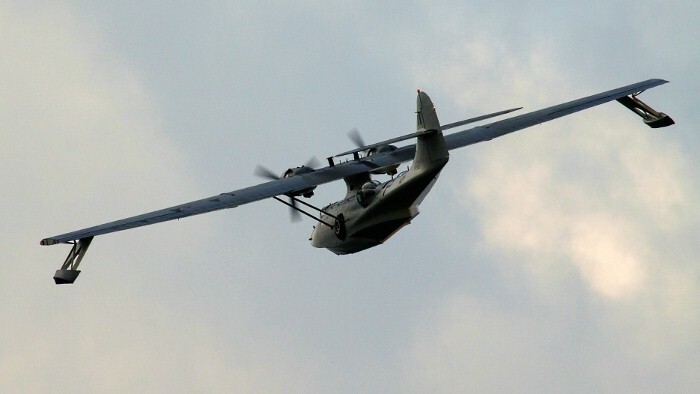 Click on one of the thumbnails below to access the 19 photos of this aircraft. 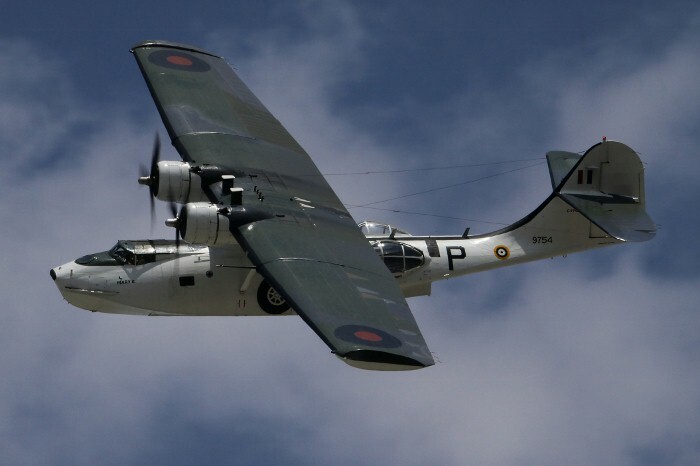 The original Canso #9754 in service with the RCAF. F/L David Hornell, Victoria Cross recipient. Official photo of the officers of 162 Squadron with RCAF Canso #9754 "Mary K". In 2010, the fuselage of RCAF Canso #9825 was acquired from Harold Carlaw&apos;s Memorial Military Museum in Campbellford, Ontario. 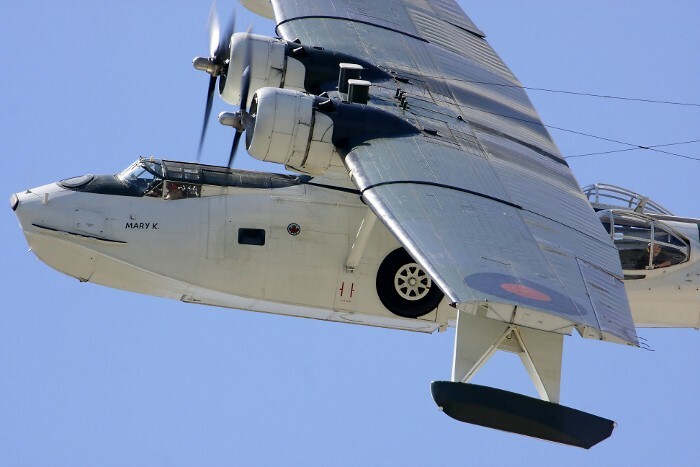 It will be used for spare parts and installation of a nose turret in the Museum&apos;s flying Canso. 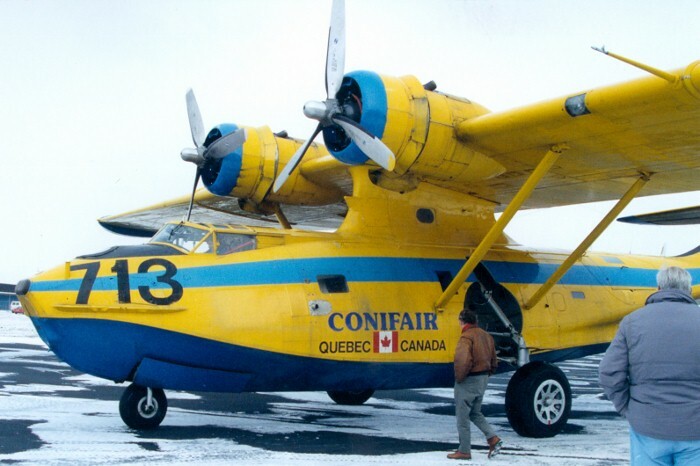 The Museum flew the Canso in its water bomber colours of the Province of Quebec for a short period of time. 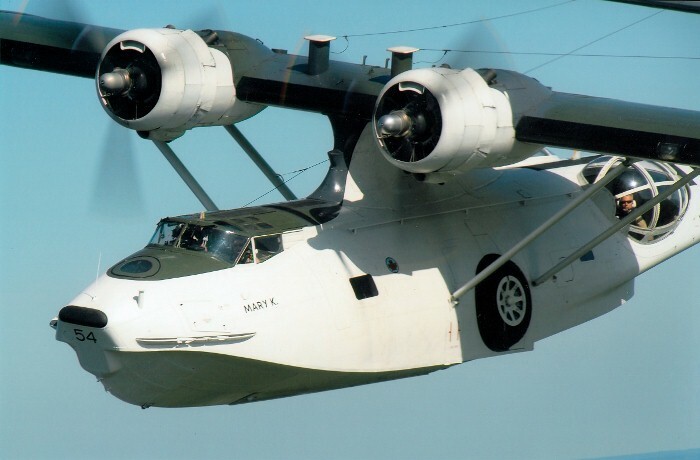 The Museum&apos;s Canso arrived at the Museum in December of 1995 and underwent several modifications including refitting of the two side window blisters. 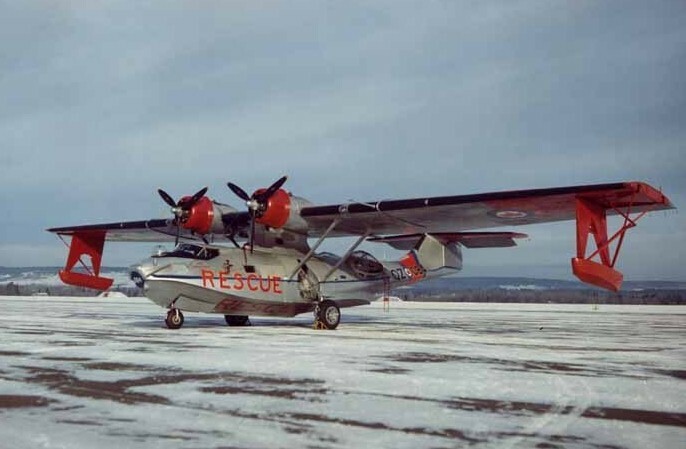 In 1952, the Museum&apos;s Canso was converted to a Search and Rescue configuration and it served that role at Greenwood, Nova Scotia. 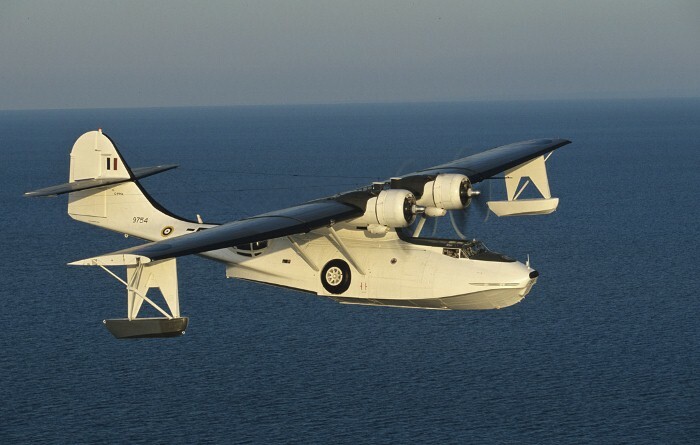 The successful PBY line of flying boats was designed in 1933, in Buffalo, NY. 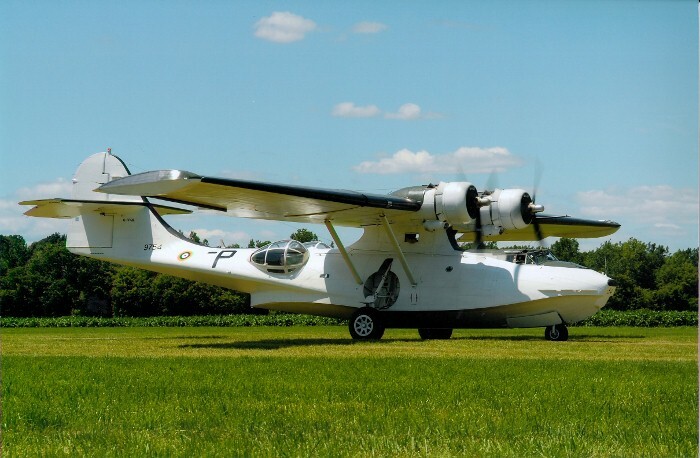 The prototype first flew from Lake Erie in March 1935 and eighteen months later, the first PBY-1 flying boat went into service with the US Navy. 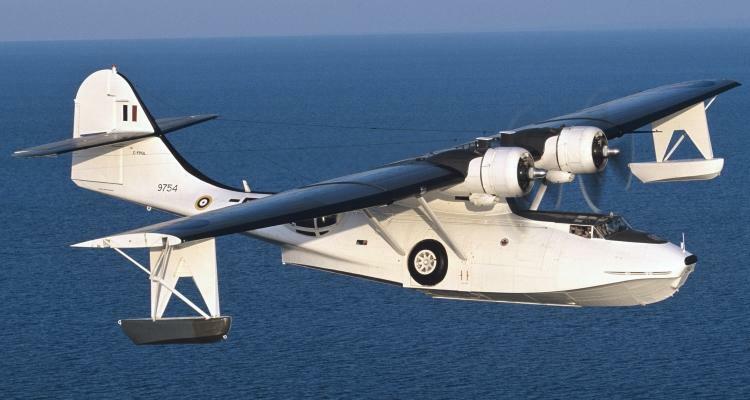 The PBY had a very long range and a large load carrying capacity. 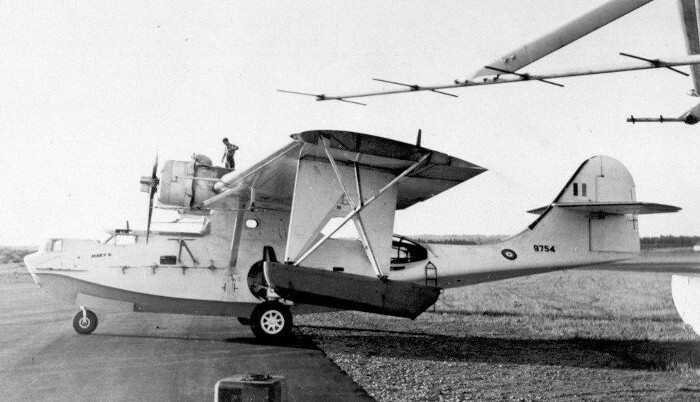 Development continued and by 1939 the amphibious PBY-5A version, with a tricycle undercarriage, was ready for manufacture. 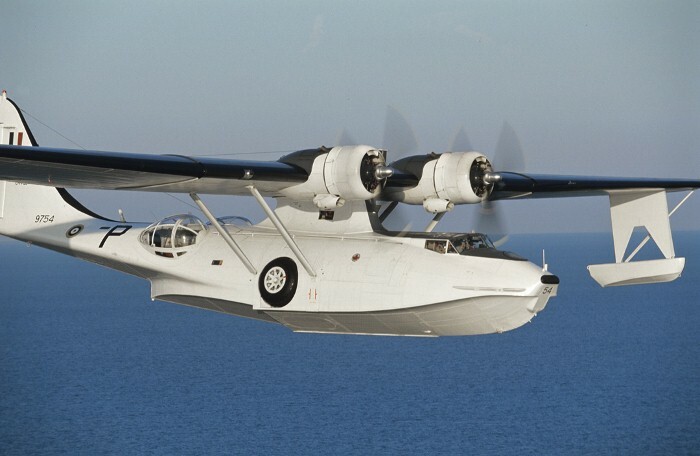 By late 1939, the RCAF needed a successor to the Stranraer flying boat and selected the Consolidated PBY-5A. 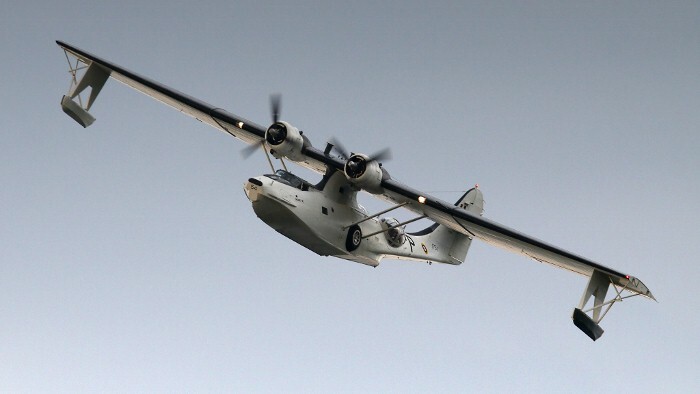 The Canso, as the RCAF named it, was to be manufactured in Canada and by late 1940, Boeing Aircraft in Vancouver had started building an order for 55 Cansos using US made parts. Meanwhile, Canadian Vickers in Montreal were awarded a contract to manufacture the aircraft from scratch. 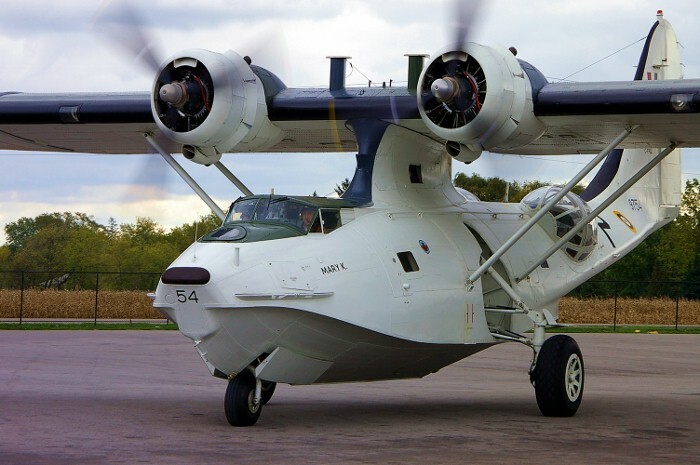 The first PBY-5A Canso built by Boeing Canada flew in July 1941 and the first Canso from Canadian Vickers in December 1942. Between 1935 and 1946, a total of 3,431 PBYs of all types, were built in North America; 730 of them in Canada. 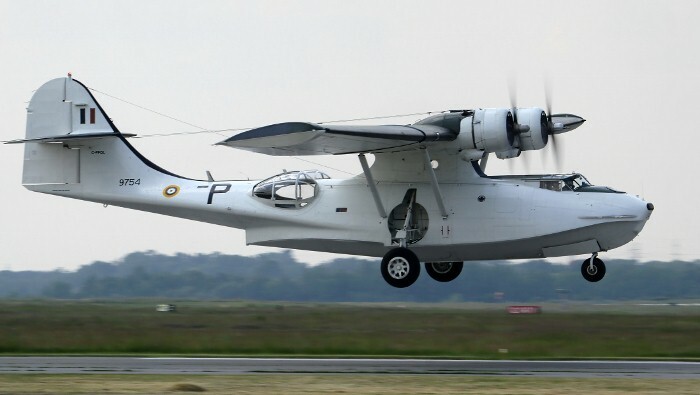 A further 1,500 PBY-5s were produced under licence in the Soviet Union. 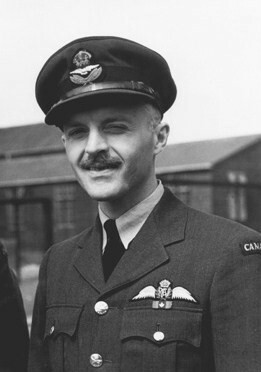 Cansos served with eleven RCAF Squadrons in WW II. They operated from both coasts and were employed in coastal patrols, convoy protection and submarine hunting. RCAF No. 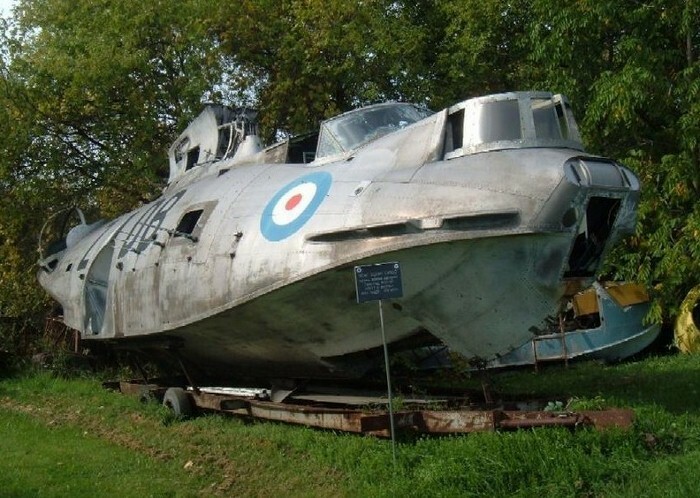 162 Squadron, when stationed in Iceland and Scotland in 1944, accounted for the six German U-boat sinkings made by RCAF Cansos. 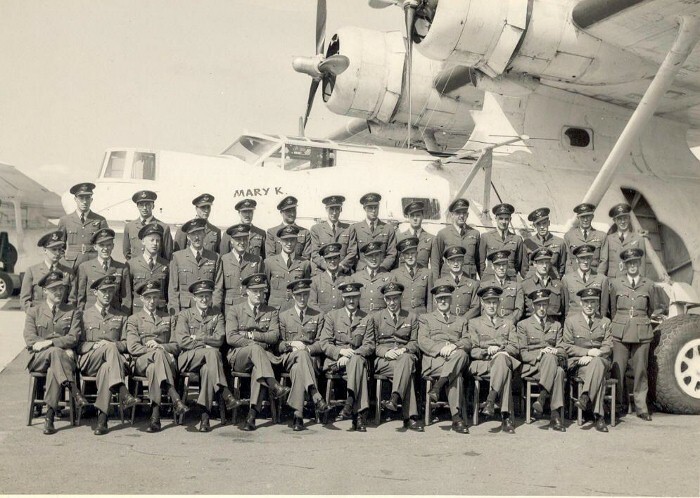 After the Second World War, Cansos served with the RCAF in photo reconnaissance and search and rescue roles, until they were finally retired November 1962. 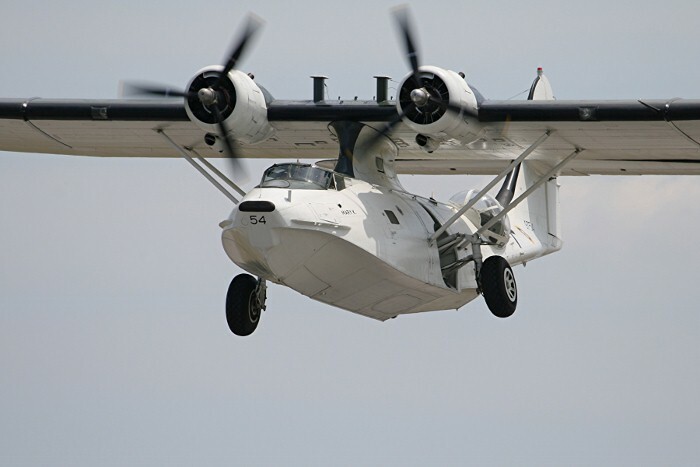 The Museum's Canso was manufactured in 1944, by Canadian Vickers in Montreal and served with the RCAF until 1961. It continued in commercial operations until 1995. 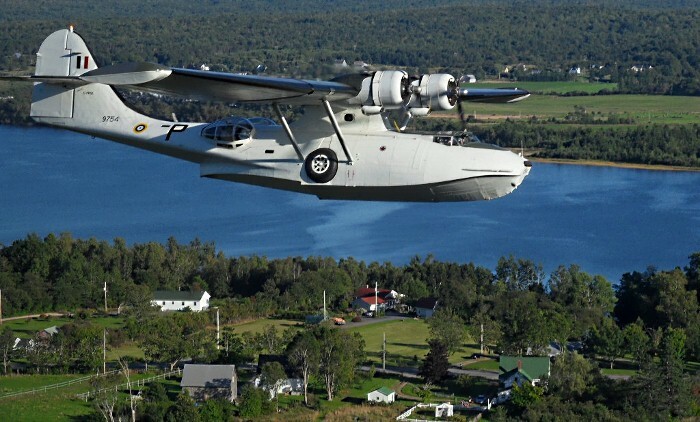 The Canso was acquired in 1995 through generous donations from Canadians Resident Abroad Inc. and the Beamish Family. 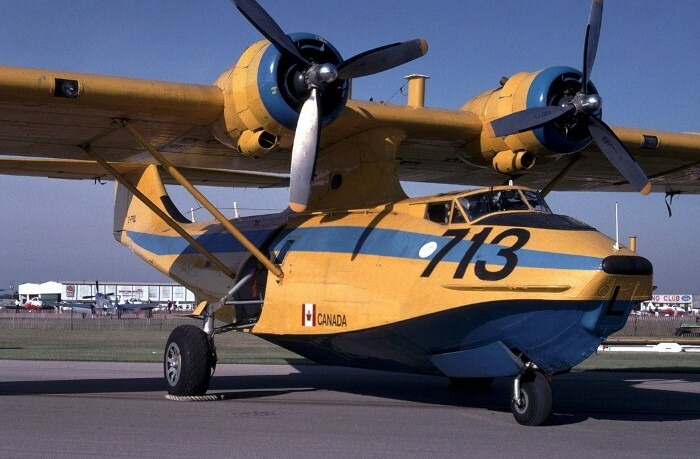 It is now painted in the colours and markings of RCAF No. 162 Squadron and is dedicated to Flt. Lt. David Hornell, VC, who was awarded a posthumous Victoria Cross. On June 24 1944, he and his crew sank the German submarine U-1225. During the attack, the aircraft was shot down and Hornell and his crew spent more than 20 hours floating in the cold Atlantic, before being rescued. Sadly, Hornell died from exposure shortly after his rescue.